Online vs offline casinos Australia - Where to play pokies for free? In Australia, gambling is a national pastime with very few countries showing a passion as strong for gambling as Australians do. Before the emergence of online casinos, land-based casinos were the only ones providing gambling services to Australians. 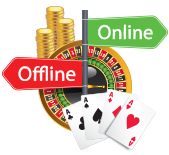 Today, the playing field is levelled and both offline casinos and internet casinos attract millions of players, however, some do have a marked preference of one over the other. If you’re debating whether you should play at a land-based casino or play from the comfort of your home, this short guide to the advantages and drawbacks of land-based vs internet casinos in Australia will help you decide. Why Choose Online Casino Gambling? When it comes to game variety, you simply can’t beat the offering of online casinos. Since there are no physical limitations, online casinos can offer hundreds of casino games at your fingertips. Because of space restrictions, land-based casinos can’t match the game variety offered by their online counterparts. From penny slots to high roller games, online casinos offer games for every budget. Online casinos allow players to sample games (online pokies especially) before they make any financial commitment. This is something that’s not available at offline casinos. Internet casinos will offer great welcome bonus packages that include no-deposit bonuses, free spins, or percentage-based match bonuses for your first deposit. While offline casinos do have their own ways of attracting players to the casino floors, welcome bonuses aren’t one of them. Shy about hitting the casino floors? You don’t have to worry about this when playing online. Why Choose Offline Casino Gambling? Let’s face it — playing online is a bit of a lonesome way to spend the time. The casino floor is bursting with energy and excitement, something that’s difficult to recreate online. Online casinos have implemented live dealer games, but they still fade in comparison with the real deal. This one is tricky. Some land-based casinos may offer better odds than online casinos, but online casinos can also offer a bigger bang for your bucks. This all depends on the casino you choose to play at. 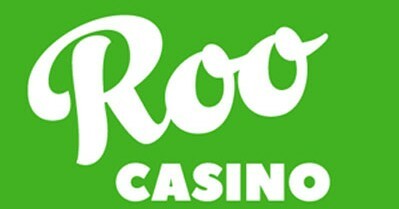 Croupiers and casino staff are there to help you with every need and without delay. Trying to get in touch with customer service online can get a bit frustrating at times. While online casinos may be more convenient, land-based casinos are the only ones that can offer the true casino experience. If you’re not interested in the social aspect of casinos, online or mobile casinos are the better option for you. But at the end of the day, you don’t need to choose between the two. If you have an offline casino nearby, you can easily enjoy the entertainment offered by both types of casinos.